Whitewater Rafting – A Thrilling Experience For The Whole Family In Your Camping Trip! Whitewater rafting is a best river trip in your camping. 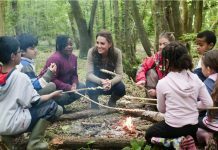 This activity provides thrill for the whole family. Whitewater rafting is something that everyone can enjoy. Including whitewater rafting in your camping trip not only makes you as the coolest parents forever, but also provides a great bonding experience for your whole family. Whitewater rafting can greatly help to improve the skills and abilities in your children. The unique idea behind whitewater rafting is that your whole family will wind up in the raft learning from one another and cooperating as a group for the great and exciting activity. Till now if you didn’t consider whitewater rafting, consider for your next vacation. 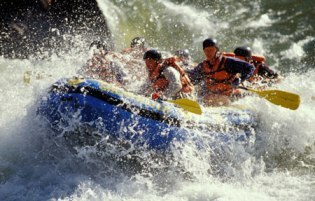 Selecting a whitewater rafting in your camping trip signals a world of opportunity for you. 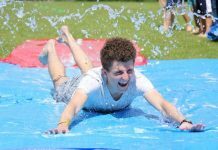 Your whole family can have a great amount of fun and winds up in laughing and screaming. If you are new to rafting, here are some tips to help you. This activity can be dangerous and also fun full. It is very easy to learn how to raft. You can be familiar by taking help of the rafting guides. These guides will teach you a lot from how to grip your paddle, how to stop or rise up the speed, how to rotate the craft and how to act and what to do if you are dropped out of the raft. 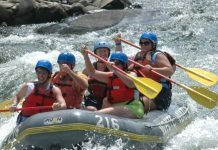 It is better to hire a professional to teach you so that you can make your whitewater rafting a comfortable and relaxed process and to have fun from begin to end. Most of you will get a doubt that when you fall out of the raft and you don’t know how to swim. Don’t fear, when you go for whitewater rafting, they cover you fully so that you can float above water. Choose age-appropriate trip. Most of the whitewater rafting trips are offered for people of all ages. If you are planning to go with your family, with young children and also senior citizens, you should choose the type of trip that you can tackle well based on practical measures. Based on the type of trip you have chosen, it may be for one day or several days. 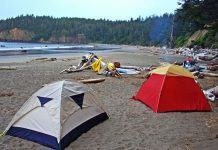 If you choose a trip that lasts for some days, you will have accommodations all along the river and they arrange a campsite for each night. 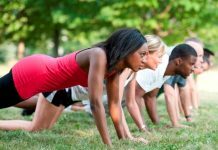 These type of activities can be a great means for a group or family to obtain a great trip. 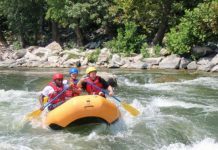 The activities like whitewater rafting make your camping trip more memorable and you can enjoy the trip to the fullest.